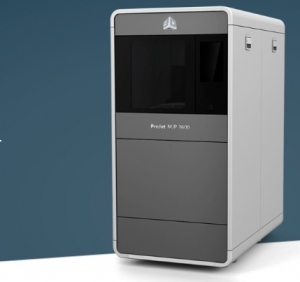 ProJet 3600 Series – 3D Rapid Prototyping, Inc. Speed — Produce more parts quickly with print speeds up to 2X faster than similar class printers. And with high capacity build volume and automated batch processing, you can increase flexibility and accelerate design repetition and validation for better product quality. Performance — Choose from a variety of available VisiJet® MultiJet 3D printing materials to create high performance plastic designs that are durable, watertight, heat resistant, bio-compatible, and much more. Simple — Office compatible and easy to use, the ProJet MJP 3600 Series offers a mostly hands-off unattended process from file upload to finished part. With a streamlined and safe batch post-processing unlike other competing 3D MultiJet printers, you can create intricate finished parts up to 4X faster. The ProJet MJP 3600 Max offers the same great quality as the 3600, but larger build sizes at the UHD & XHD Modes comparatively. © Copyright - 3D Rapid Prototyping, Inc.